We ended the puzzle auction of the second grade of "A Mazing Burr" on Oct.4 successfully, and it's time to sell "A Mazing Burr"! Of course, this time we are selling the first grade of products. 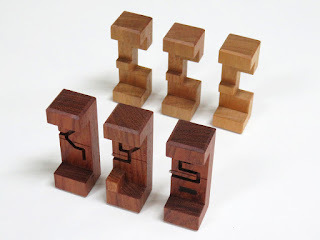 Juno has done a neat job on them and carefully checked the movement. 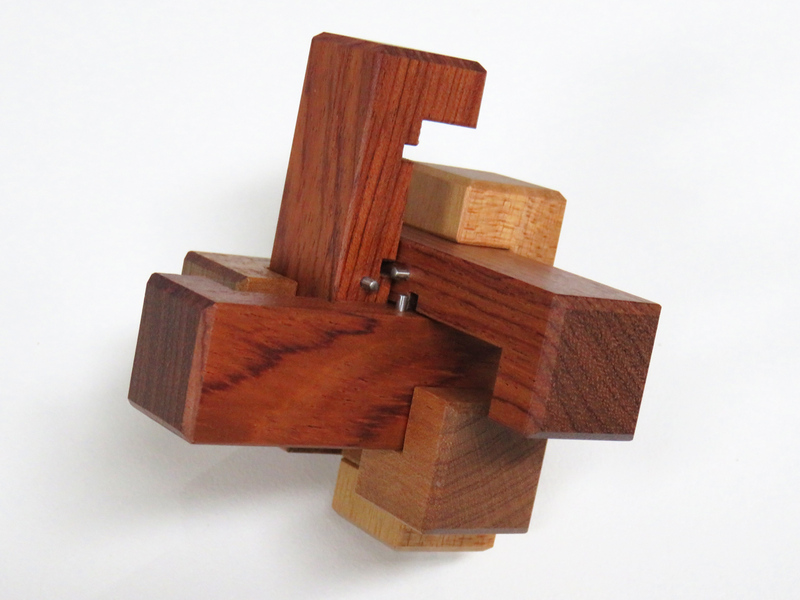 This puzzle is made with Bubinga and Queensland Maple. As you can see from the name of this puzzle, there is a trick inside of it, he-he. 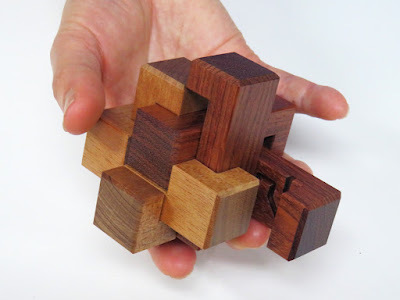 This puzzle requires 17 moves to take the first piece apart from the assembled shape, yes, it's difficult but I'm sure it's worth playing for puzzle lovers. A Mazing Burr is available on our online shop!